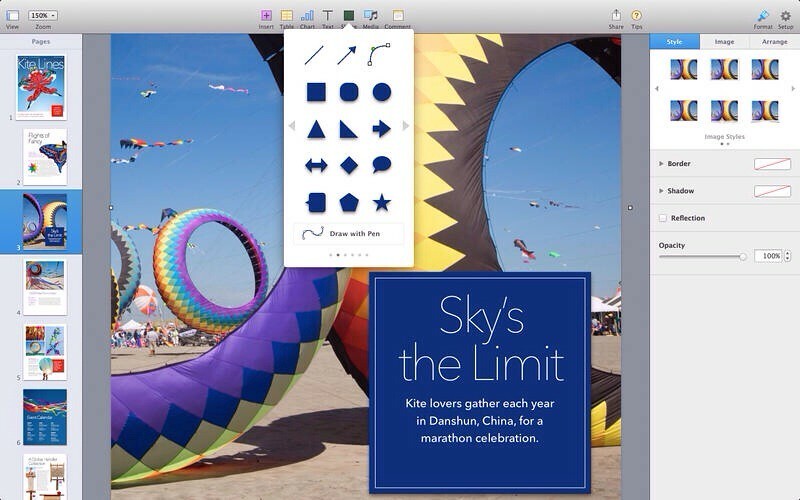 Apple has updated Pages for Mac to let you customize the toolbar and to turn center and edge guides on by default. 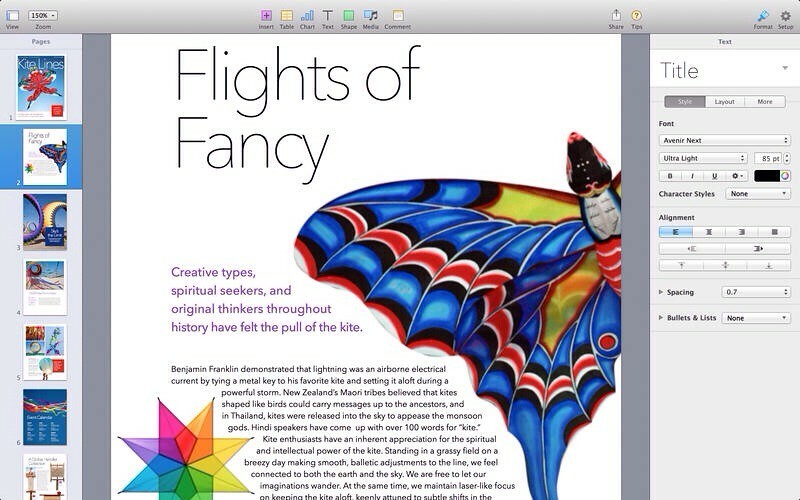 Create gorgeous documents in minutes with the all-new Pages for Mac word processor — featuring a stunning new design, new writing tools, and improved performance. Start with an Apple-designed template or create your own design using fonts, styles, and tools from the intelligent Format Panel. Easily add images, movies, charts, and more. And use change tracking, comments, and highlights to review your work. With iCloud, your documents are kept up to date across all your devices. You can instantly share a document using just a link, giving others the latest version and the ability to edit it directly with Pages for iCloud beta from www.icloud.com using a Mac or PC browser. And with a new unified file format across Mac, iOS, and web, your documents are consistently beautiful everywhere you open them. 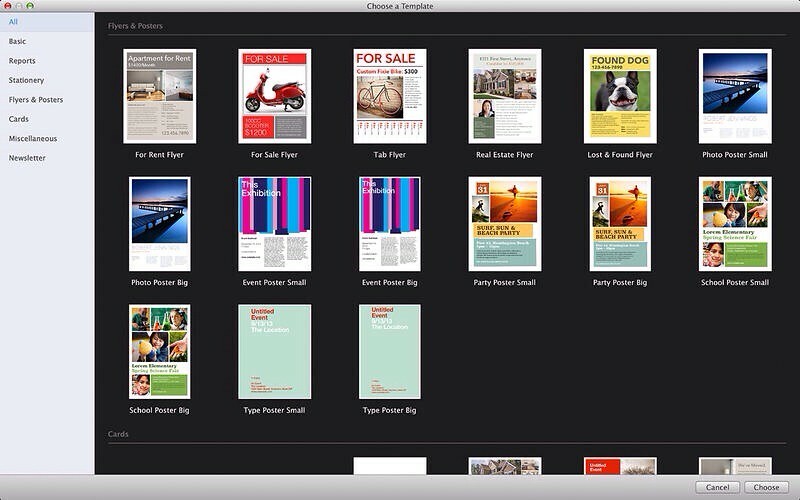 You can purchase Pages from the App Store for $19.99.